yup that’s me. Tired, hot, smelly, ugly legs and sore, but completely satisfied with a day of polishing and waxing. With my tin of just used Mothers Synthetic Paste wax. The black Porsche and garage are also mine. I love to detail my own cars. It’s a way of really connecting with them, touching nearly every square inch of them with my own hand, great exercise, and you get a beautiful shiny car when you’re done. What’s much better? Here’s an update on some new products I’m playing with. Some cars I do by hand, old school, the long and hard way, paste wax and all. 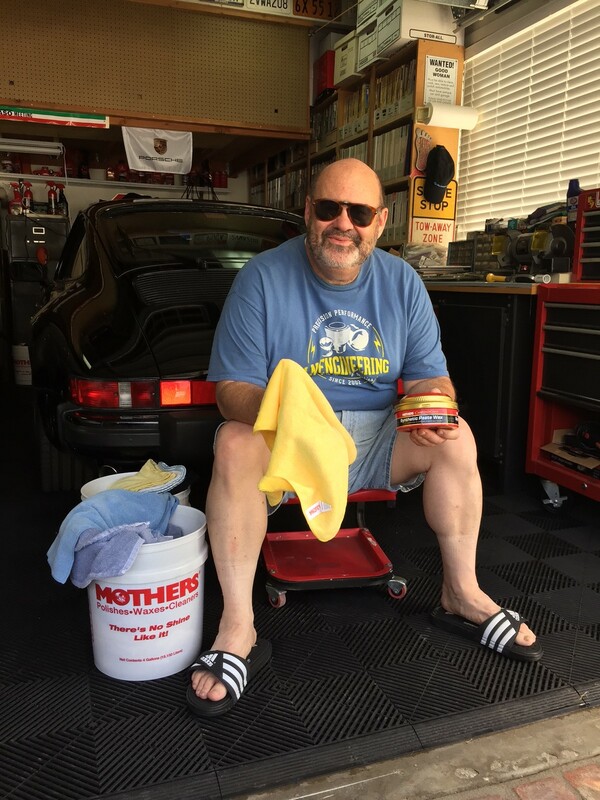 If you like the process of hand polishing then paste waxing your car, I suggest you try Mother’s Synthetic Paste Wax, among the benefits are that synthetics are reputed to last a bit longer than waxes made of purely organic materials, so it seemed worth considering. Now I’m a Carnauba guy, because to my eye and mind, nothing glows quite like real Carnauba. But try this stuff. Has no abrasive so make sure to clay and polish first; you want paint immaculate and smooth with pores open and ready for good wax shine and protection. This Synthetic Paste Wax is a little softer and more moist in the tin than most pure carnaubas, its rubs on smooth and easy, dries uniformly, and wipes off easily and cleanly, without white powder residue. The old school single stage paint on my black Porsche likes it, and the result is gorgeous. For the times when I do use a buffer, I like the MOPS (Machine Orbital Polishers) that Mothers sells under the name Wax Attack. They’ve just come out with the Wax Attack II, which is larger and more powerful than the original wax attack I. Not as small, light or handy to use, but with more power and mojo. 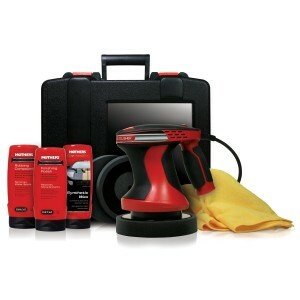 Comes in a nice case with plenty of buffing pads, micro fiber towels, and three bottles of sample product included. A great piece. If you watch Chasing Classic Cars, you’ll see my friend Wayne Carini stepping up and plugging Pinnacle detailing products. I got their deluxe sampler pack with a container of all their products. This is purely pro quality stuff, and very nice. Lots of cleaners, scrubs, and preps, plus shiny spray stuff for everything and a carnauba that likely rivals Zymol and the best from Mothers, Meguiars and Surf City Garage. Not cheap, but high game stuff. 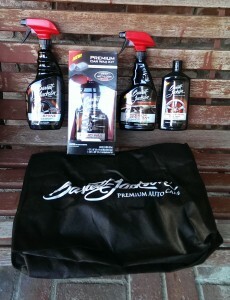 You may recall a year or two back when Barrett-Jackson began private labeling their own line of detail products. I got a hold of a sampler pack of it, tried it, and hated it. Not good product. They soon dumped that supplier and engaged someone new. So they sent me another batch to try. Much better this time. 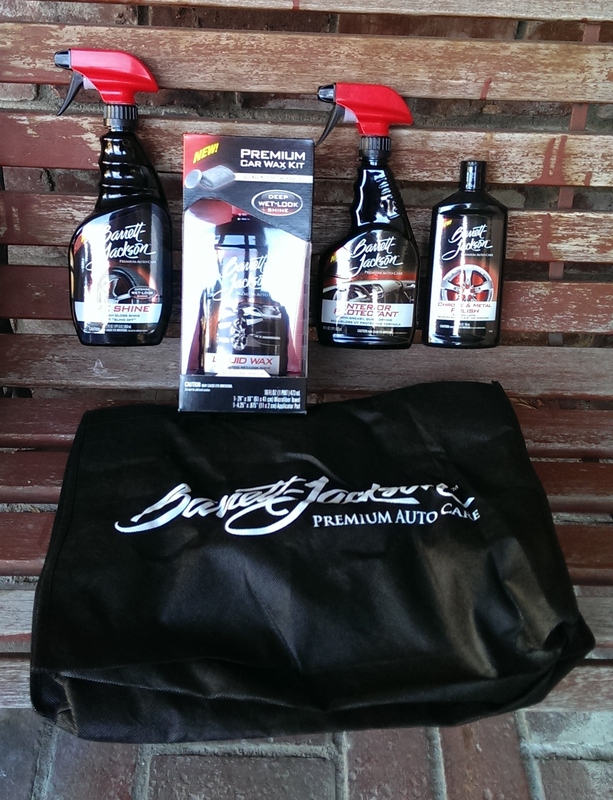 I’ve used it on my own cars and like it fine. So if it appeals to you give it a try. That’s my update on detailing stuff. You’ve surely got at least one more car show to participate in before winter, so get yourself spiffied up, your car will be that much more beautiful, and will thank you for it. Especially with winter just a few months away. And don’t forget to put more micro fiber towels on your holiday gift list.